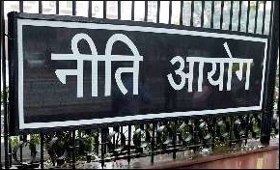 The roadmaps for the Sustainable Action for Transforming Human Capital in Education (SATH-E) Project of NITI Aayog, were released on Saturday. The project is being undertaken in partnership with three participating States of Jharkhand, Madhya Pradesh and Odisha. Amitabh Kant, CEO, NITI Aayog, released the project in presence of Shri Sudhir Tripathi, Chief Secretary, Jharkhand, Shri Alok Kumar, Adviser (HRD), NITI Aayog, Principal Secretaries for education, State Project Directors (SPDs), knowledge partners and representatives operating in the field of education. The release of the States’ roadmap was preceded by a workshop anchored by the States’ Principal Secretaries for education and State Project Directors along with field level functionaries. The States presented their respective systemic and innovative best practices so as to learn from each other.